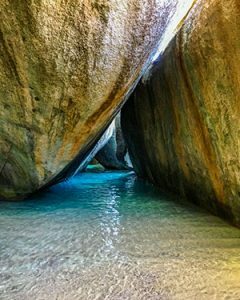 As first-timers do we need to explore some of the most unique attractions of the Caribbean destination like its swimmable caves and the granite boulders at The Baths? Absolutely. It’s fitting that our journey starts in Tortola, as it’s the spot Navy veteran and sailing enthusiast Charlie Cary launched the premier yacht charter company nearly 50 years ago. What started with a fleet of six has grown into a worldwide venture with 400 boats across more than 20 destinations in the Caribbean, the Mediterranean, the South Pacific and beyond. 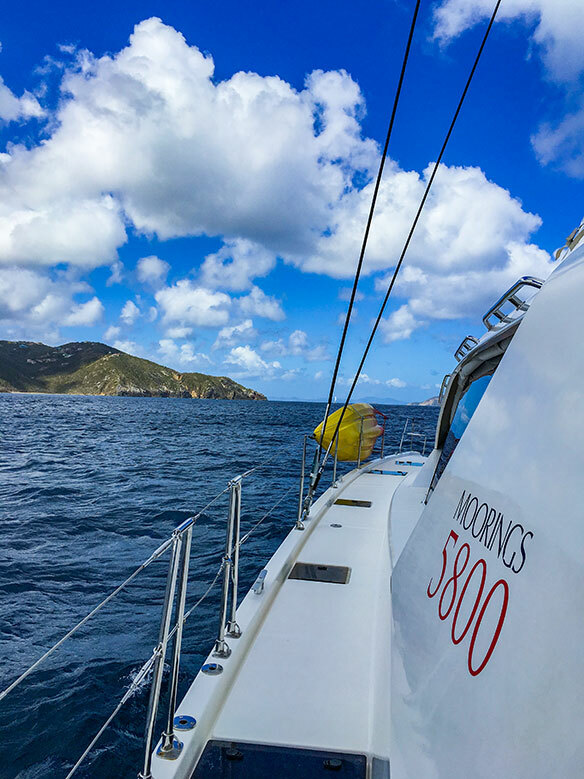 Over the past (almost) half a century, The Moorings’ offering has expanded from solely self-skippered monohulls to include sail and power catamarans and all-inclusive packages complete with a captain and chef, like ours. With commission rates starting at 5% and increasing based on the number of bookings made per year, he says The Moorings is an option for clients who are looking to try something new and have a fully immersive vacation experience or for those looking for an alternative to a classic all-inclusive vacation or a cruise. Although the BVI is one of the territories still rebounding from the impact of last year’s hurricanes, the destination has reopened for business, especially for charter vacations. By the next morning, as we awake to breakfast overlooking a secluded stretch of white-sand beach in a bay of turquoise water on Guana Island, our course has already been charted. As promised, the next few days are filled with snorkelling the caves of Norman Island, taking in The Baths on Virgin Gorda, enjoying countless secluded white-sand beaches, lounging on yellow floats attached to the catamaran, and daily excursions to the shore. It’s on Jost Van Dyke, which pre-Irma had some 36 bars to 120 residents, where we truly feel the vibrant signs of recovery. Although there is still work to be done, restaurants and bars are open and welcoming guests. Here, we head to White Bay to finally try the famous drink invented on this island in the 1970s. It’s safe to say there’s something special about this island, as it’s also what drew our captain in after many years of sailing around the world. TAILOR MADE: The Moorings caters to a group’s drink and food preferences, as well as their interested activities while on board. 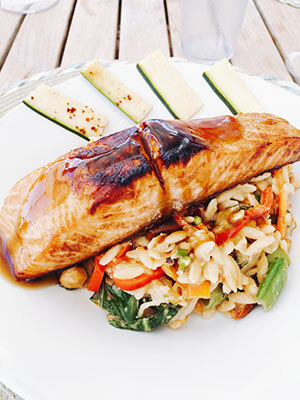 Our chef seamlessly brought out meals for a variety of dietary restrictions and food preferences, including a vegan. We enjoyed three meals a day with nightly sunset cocktails and canapés before dinner. Dishes, made from scratch, ranged from teriyaki salmon fillets with orzo salad to homemade coconut pancakes and chocolate chip muffins to lamb gyros. BOOKING WINDOW: Trips should be booked at least four to six months in advance. For the American market, the typical trip length is between five and seven days. RECOMMEND THIS: For clients looking for a one-of-a-kind holiday and to try something a little different. 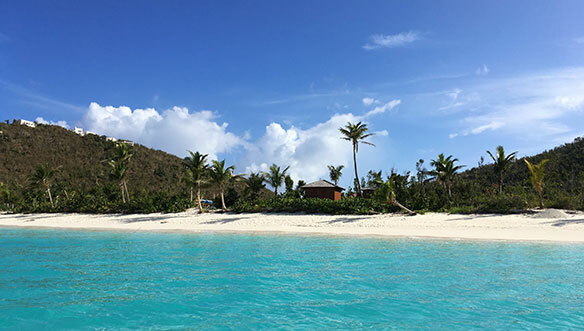 With over 50 picturesque islands filled with pristine beach coves and ample opportunities for snorkelling and diving, it’s no wonder why the BVI is a popular choice for travellers and sailors alike. BE SURE TO: Hike to the top of the hill on Norman Island by Pirates Bight for 360-degree views of a stunning turquoise bay on the windward side and a panoramic view of the many ships in the area on the leeward side. Norman Island is said to be the inspiration for Robert Louis Stevenson’s Treasure Island.